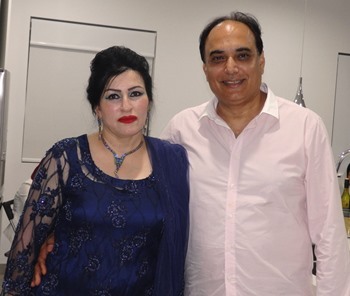 On the New Year Eve, 31st December 2016, Prominent Lawyer Mr. Ejaz Khan, President Pakistan Australia Association hosted a New Year party at his residence Sydney. The event was well organised and attended by close family friends. Dr. Ahsan Madni, Dr. Shaukat Javed, Dr. S.M.Habib and Dr. Aslam Chaudhary was unable to attend due to their overseas trip. A local Pakistani singer entertains all guests during the celebration. The professional team of Tandoori Hut Restaurant, Enmore prepared onsite fresh & tasty Entrees and delicious 5 course dinner of multiple traditional Pakistani dishes. Everyone enjoyed and thanks host Ejaz Khan & Tina Khan.